MOCKSVILLE, N.C. — Multiple drivers came away winners at the season-opening International Hot Rod Association (IHRA) Summit Sportsman Spectacular event at Farmington (N.C.) thanks to the support of the IHRA’s great partners. Beyond the big prizes for those who advanced the furthest in eliminations, there were round prizes awarded for the best losing packages of the first three rounds. 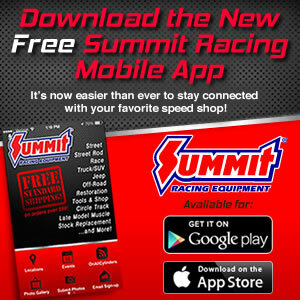 Top racer Jimmy Collins took home a Summit Racing Equipment 10 x 20 tent after Saturday’s first round. Footbrake racer Kaleb Greene was the recipient of a Sunoco $100 fuel certificate and Junior Dragster racer Garrett Howell won a Summit Racing Equipment 10 x 10 tent. In the second round, Top driver Corey Manuel received a $250 American Race Cars gift certificate. In the Footbrake division, Ricky Greer Jr. received an Abruzzi Transmissions $400 certificate towards an 8 or 9-inch converter. Kristen Brady got a Summit Racing Equipment car cover for her Junior Dragster. Top racer Jerry Cline came away with both a $500 Moser Engineering certificate and a $200 Jones Transmission Cooling Systems certificate. Footbrake driver Nick Lucas also received a $500 Moser Engineering certificate, and Junior Dragster racer Slade Kincer picked up a $250 Moser Engineering certificate. Roger Roberston kicked off the list of Sunday winners. As the winner of Sunday's Top race, Robertson received a $500 certificate towards the purchase of Battle Born Batteries products. Chase Manuel, also in the Top division, got a new 5-layer Summit Racing Equipment fire jacket after round one. Footbrake racer Robert Sawrey was the winner of a single-layer Summit Racing Equipment fire jacket. Calla Varner picked up another prize from Summit Racing Equipment with a Junior Dragster re-entry certificate. Round two saw Top driver Tommy Mullen receive a $250 American Race Cars gift certificate. Todd Payne in the Footbrake division got a $100 Sunoco gas card and Junior Dragster racer Daniel Hagan won a single-layer Summit Racing Equipment jacket. Top driver Chuck Sanders received an Abruzzi Transmissions certificate for 10 percent off and a $200 Jones Transmissions Cooling System certificate. Footbrake racer Carson Robbins will be protected from the elements with his new Summit Racing Equipment 10 x 20 tent and Calla Varner racked up again with the Summit Racing Equipment Junior Dragster cockpit cover. Don’t miss out on your opportunity to race for big money, take home round prizes and get contingency bonuses at future IHRA Summit Sportsman Spectacular events. To become a member of the IHRA please call (561) 337-3015 or email membership@ihra.com. For more information about the IHRA Summit Sportsman Spectacular visit ihra.com.